Last week we threw a ping pong tournament in the office. Table tennis, if you will. 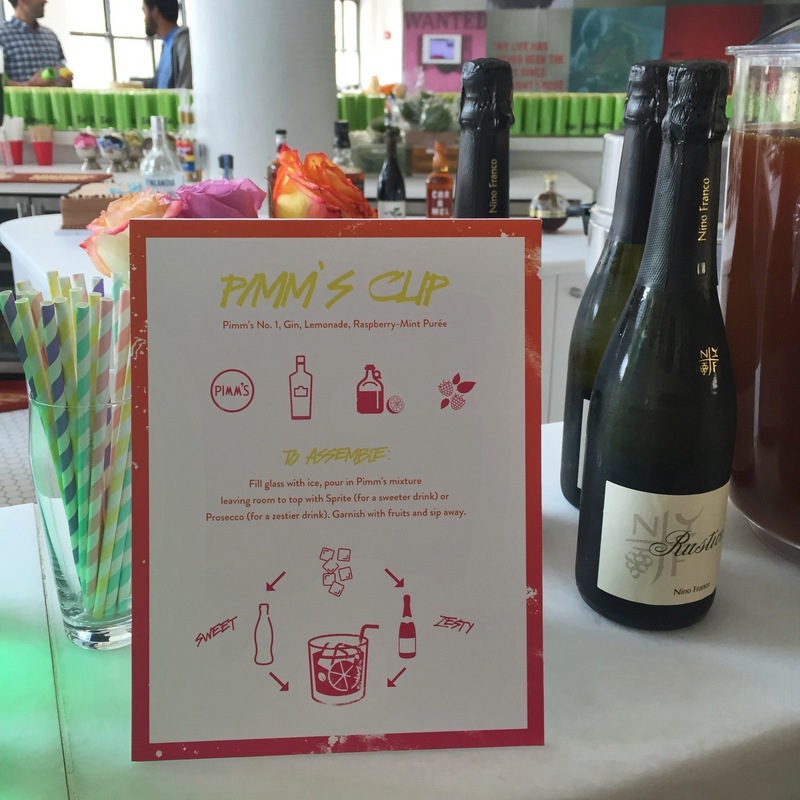 I ask you, what is a ping pong tournament without proper refreshments? It’s not worth playing, that’s what. So, to make sure players and spectators alike were properly fueled, I mixed up a big ole batch of what I proudly call Victoria’s Pimm’s Cups (I’m going full British with my name on this one). 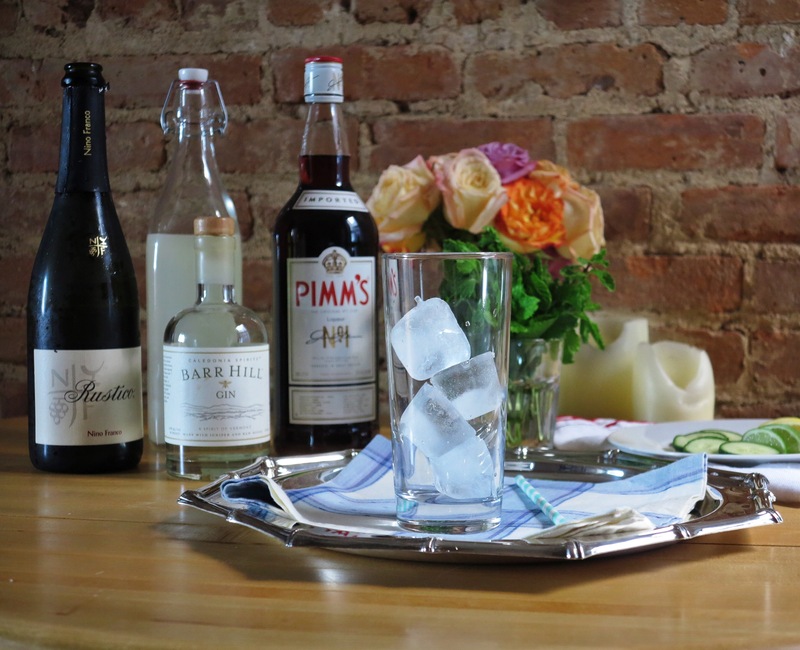 I never had a Pimm’s Cup when I was in London, which is a shame. But I have had a cup or two on this side of the Atlantic and I also have a little something called the Internet. When planning the drinks and snacks for this particular shindig, Wimbledon served as my inspiration, since the party was technically tennis themed. 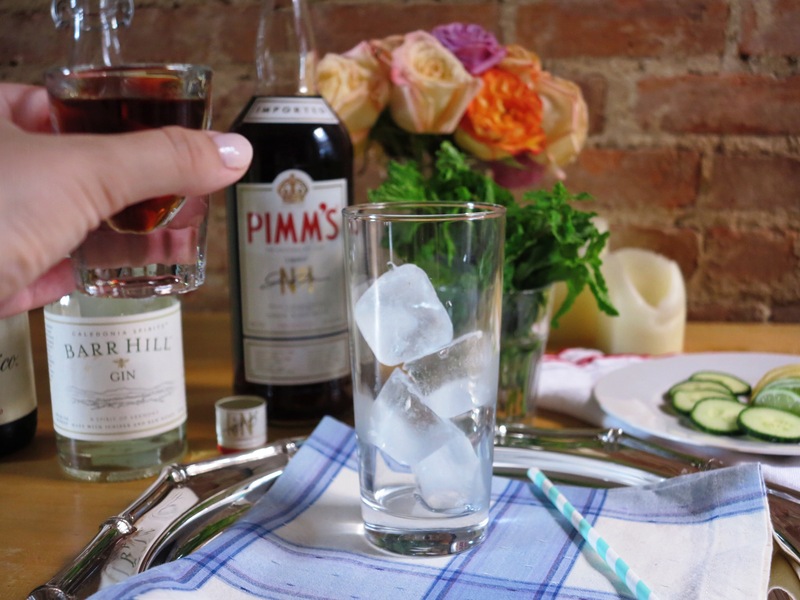 In the UK, Pimm’s Cups are favorites for garden parties and several British sporting events, including Wimbledon, the Chelsea Flower Show, the Henley Royal Regatta, and the Glyndebourne Festival Opera (says Wikipedia). Bar Hill Gin is made in Vermont (surprise). It’s made with juniper berries and raw honey. Don’t let the whole British thing fool you, though. That may have been where it originated and where it’s served the most, but all the Brits in the office went straight for the Newcastle Brown Ale as us Americans swarmed around the Pimm’s pitchers and prosecco bottles. decked out with a tennis raquet drink stirrer, a tennis ball topped toothpick holding the fruit garnish, and of course, a paper straw. 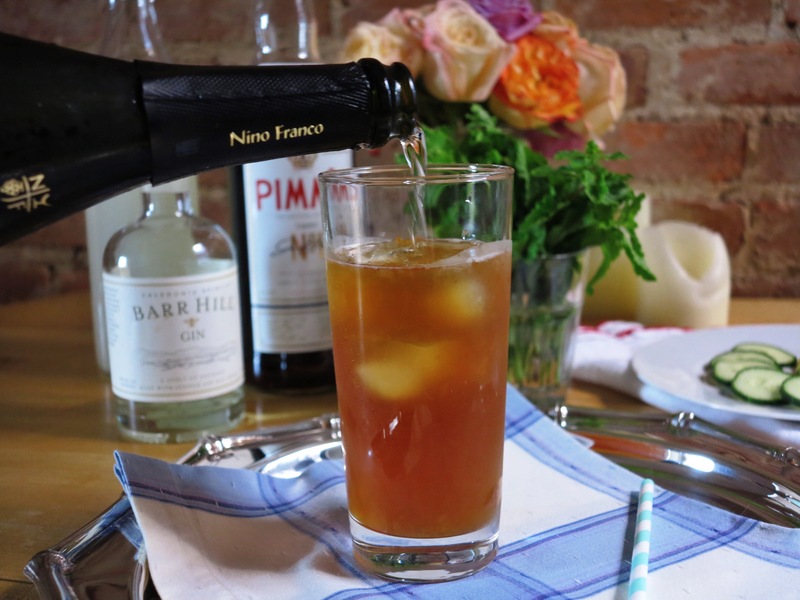 A quick lesson in what Pimm’s is, exactly, and how it’s traditionally served: Pimm’s No. 1 is a gin-based liqueur and a Pimm’s Cup is a “fruit cup.” That is, it’s a fizzy mixed drink flavored with the addition of different fruits and herbs. Most often, it’s a base of Pimm’s, the addition of “lemonade” (what the Brits call something like Sprite) or ginger ale, and fruits and herbs. 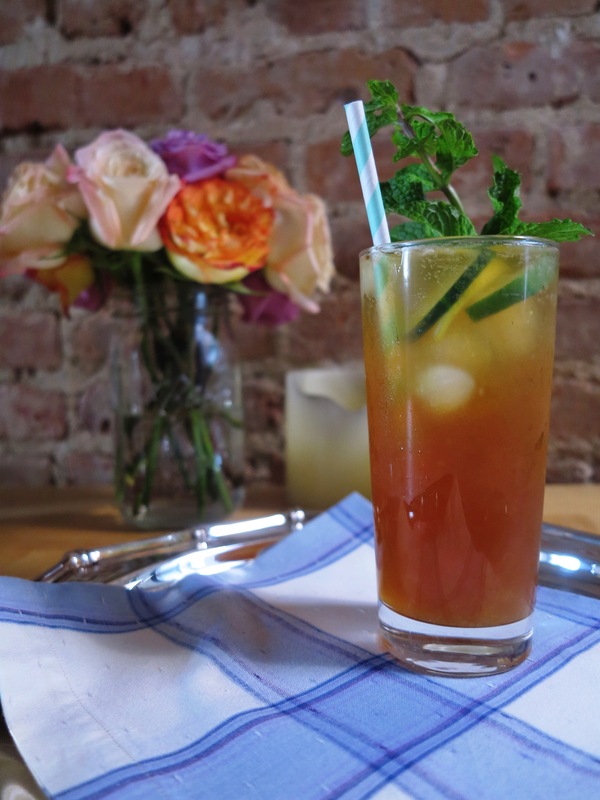 Mint, cucumber, strawberries, and orange are typical ingredients in a Pimm’s Cup. So, there ya go. That’s my quick understanding of what makes up this exotic, carbonated beverage. As I dug around for different recipes, I noticed that gin, champagne, or sometimes even beer are often added. 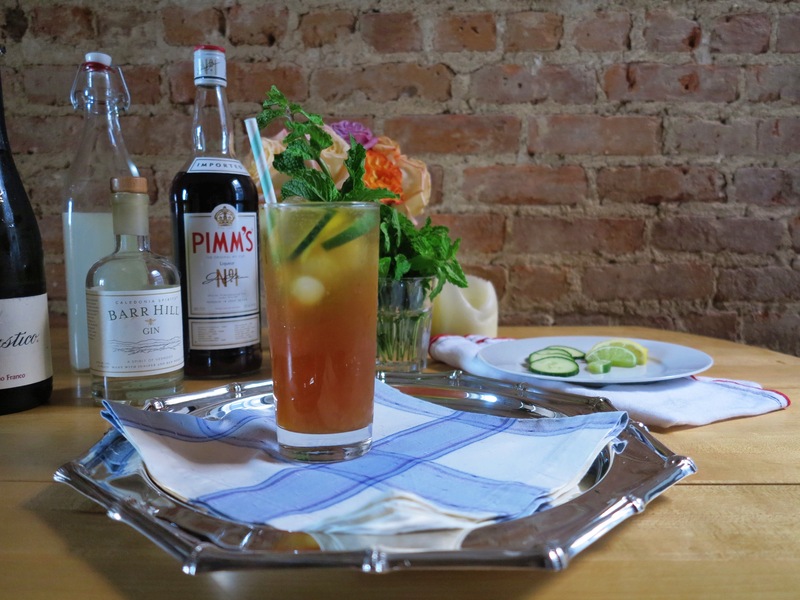 That got my wheels turning as I developed my very own recipe for what I have to say is a powerful Pimm’s cup. 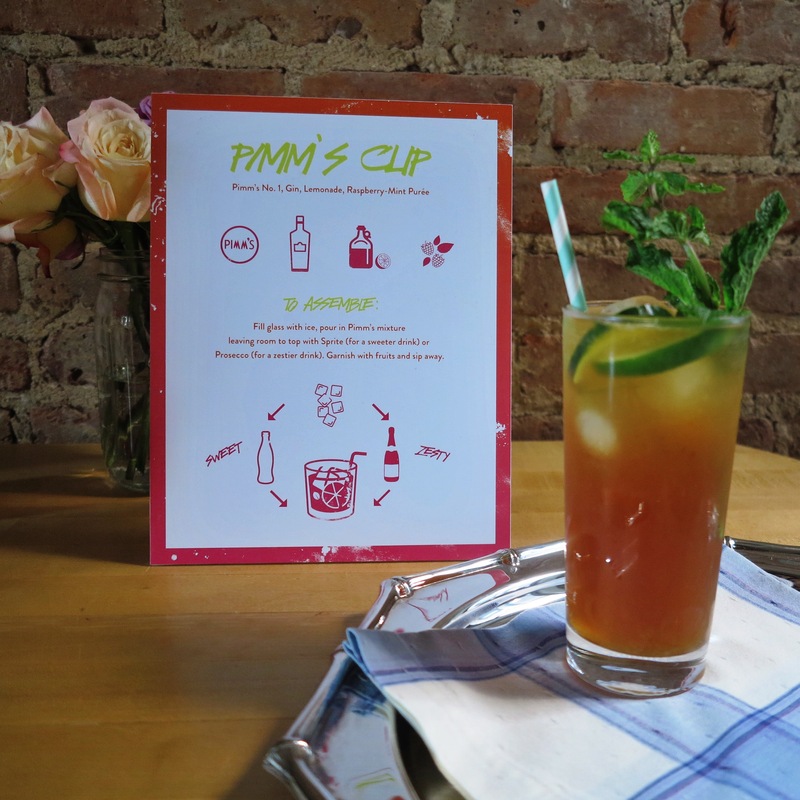 a sign explaining how to assemble your Pimm’s Cup for the party. I based the initial ingredients on a cocktail my mom calls the Pink Slipper sometimes and the Raspberry Kiss other times. Whatever it is called, it’s delicious. It’s equal parts white rum, lemonade, and Chambord topped with prosecco. So we have a formula here: a liquor, a liqueur, lemonade, and something bubbly. I tried to make the Pimm’s Cup with the same measurements, but it was a bit too harsh. However, after several adjustments, quality feedback from some coworkers, and shoving different Pimm’s concoctions under the noses of all the Brits in the office, I was finally satisfied with my recipe. The party went off splendidly and I can proudly tell you that Victoria’s Pimm’s Cups were a smashing success. I’m extending their life past garden parties and civilized sporting events and bringing them to the rooftops of Brooklyn. 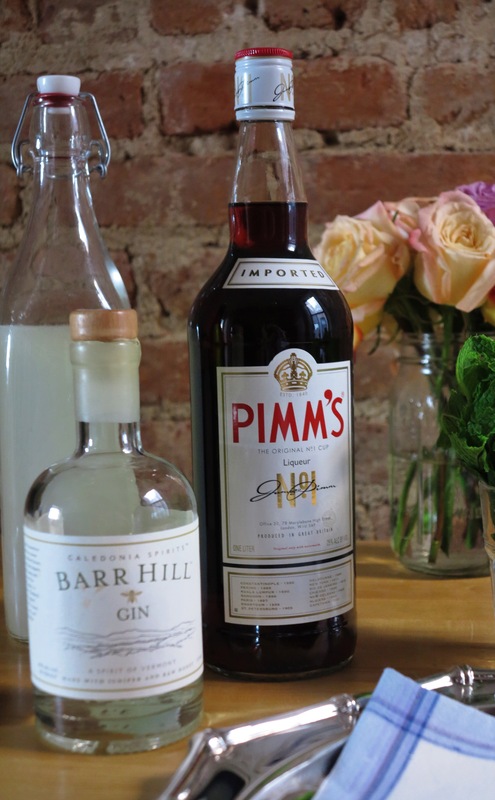 It really is a pleasing summer beverage, so I encourage you to go buy a bottle of Pimm’s from your local purveyor and mix up a pitcher this weekend! Just…take it easy and maybe switch to wine or beer after one of these. 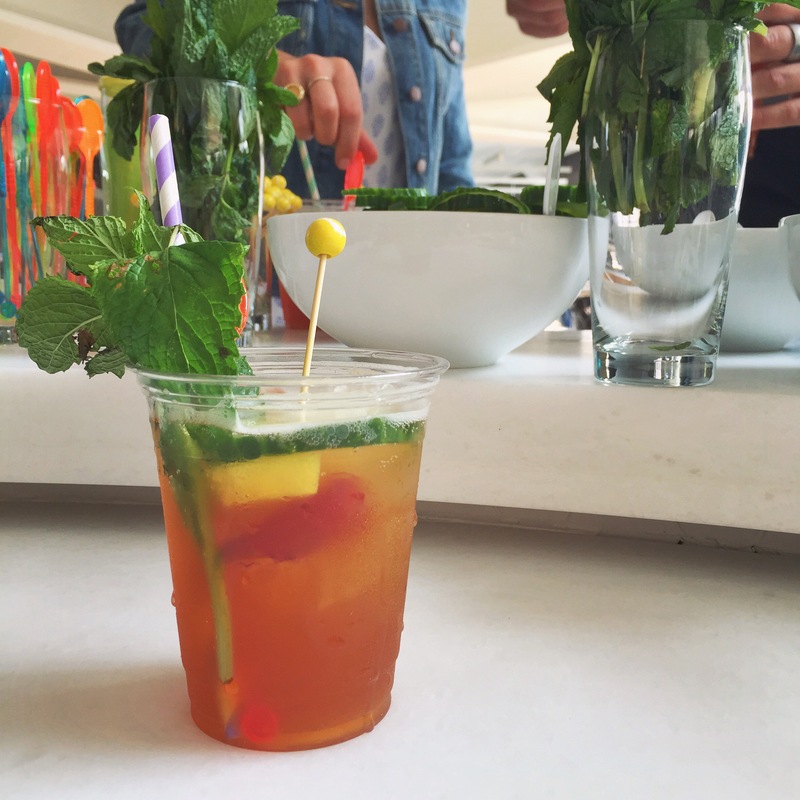 This Pimm’s Cup packs a punch. Fill a tall glass at least half way with ice. Pour in the Pimm’s, the gin, and the lemonade. Top with prosecco if you like a slightly zestier drink, or Sprite/ginger ale if you like a slightly sweeter drink. 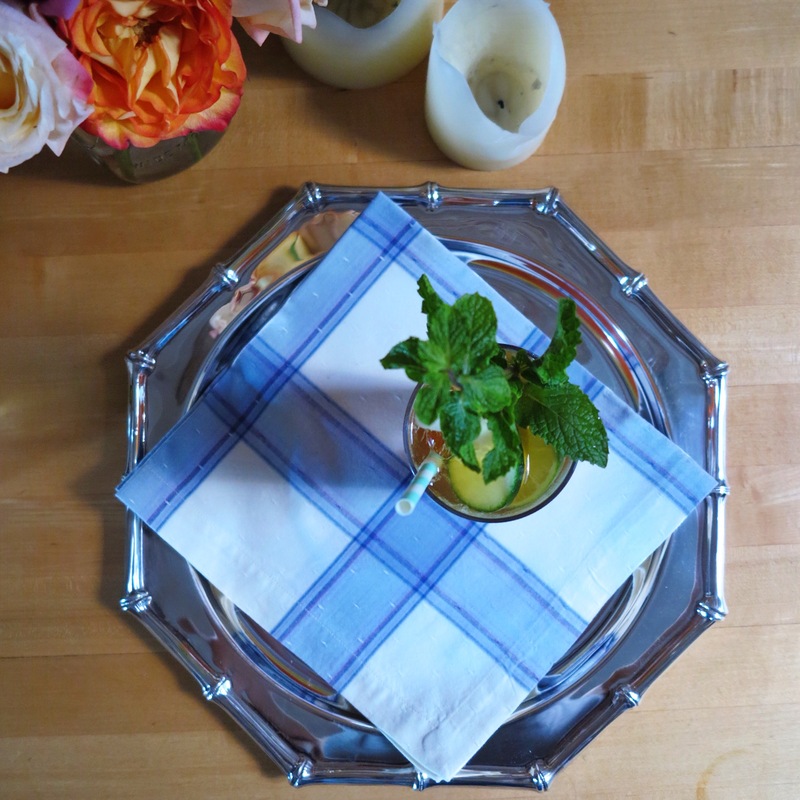 Garnish with a sprig of mint and your fruits. 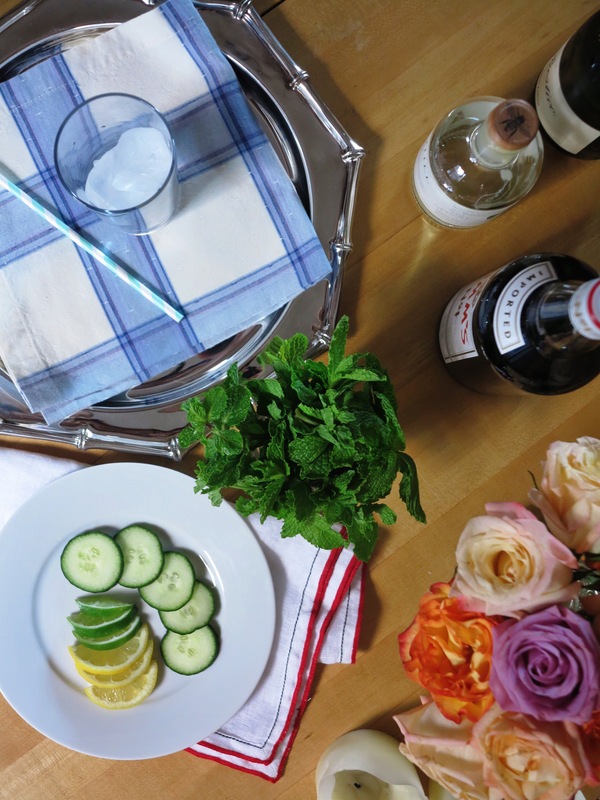 *To serve a group of four, use 1 cup Pimm’s, ½ cup gin, and 1 ½ cups of lemonade. 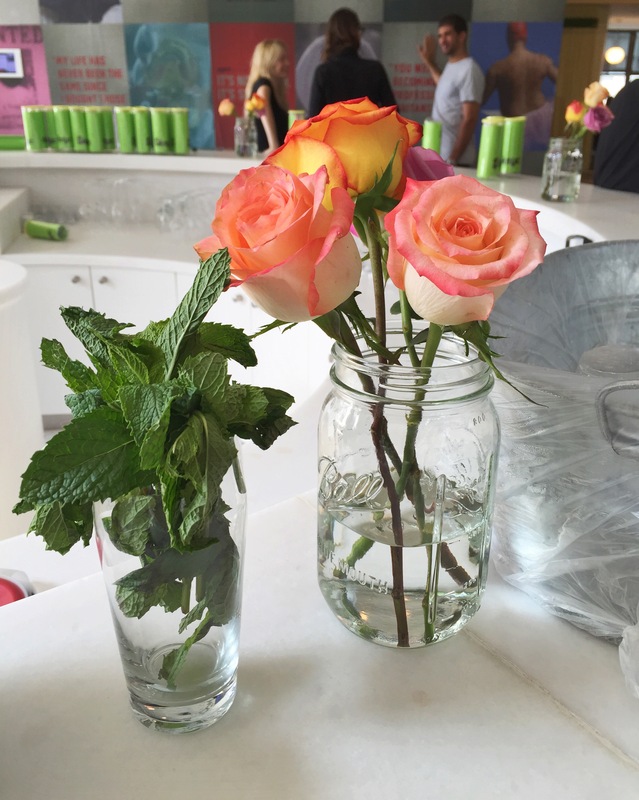 Pour it in a pitcher, stir, and pour in cups before topping with your fizzy topper and garnishes. WOWWWW, this looks soooo good! When you read this post at 9:25 am, I guess you call it an eye opener!